Most wood products and machined timber supplied by EWP Ltd is independantly certified by the FSC (Forest Stewardship Council) as well as coming from well managed forests. Just opened Peter's Bridge in Norwich has been shortlisted for the 2012 Institute of Civil Engineers award. 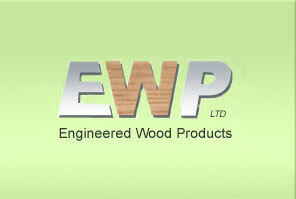 Since 2002, EWP Ltd has pioneered the use of a range of FSC certified hardwoods imported from South America by Precious Woods NV. For outdoor construction, these timbers are the best available in terms of strength, quality,durability and sustainability. Fabrication of final designs using where necessary, new processes, products and purpose built machinery. Jarrold Bridge was one of only 32 projects in the UK to receive a Civic Trust Award this year (2013), and the only one in the Eastern Region. These awards honour ‘projects that make an outstanding contribution to the quality and appearance of the built environment’. The Judge’s appraisal of the bridge can be found here. Using a modification of the unique decking system, EWP has designed, built and installed curved seating in solid Cumaru timber along the curved spine of the bridge walkway and as freestanding curved benches on the viewing platform area.